Horse/Stock Trailers | Beck's Trailer Store | Michigan's Largest Trailer Dealer | New And Used Trailers For Sale And Rent. We are proud to offer quality all aluminum Sundowner Horse & Stock trailers. We offer a large selection of gooseneck & bumper pull horse and livestock trailers. 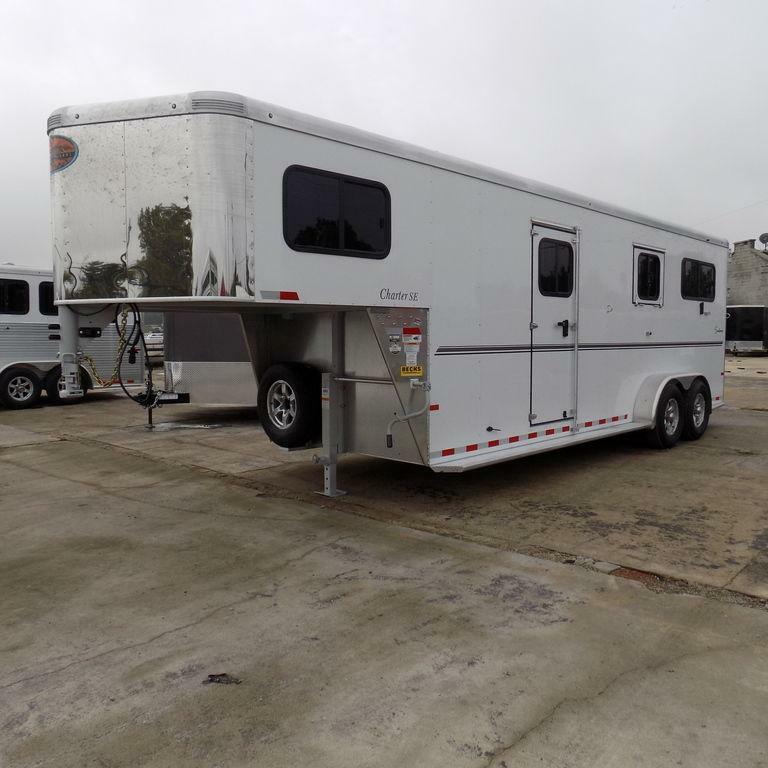 We generally carry a combination of slant load horse trailers and straight load horse trailers in 2 horse, 3 horse & 4 horse configurations but can order larger models directly from Sundowner Trailers to meet your needs. When it comes to horse trailers the safety & comfort of your horse are our top prioriety. We have additional horse trailers and livestock trailers ordered from Sundowner Trailers that will be arriving at our dealership soon so please contact one of our horse & livestock trailer specialist to discuss your specific need. Beck's is a proud sponsor of the 2019 Michigan Horse Expo!